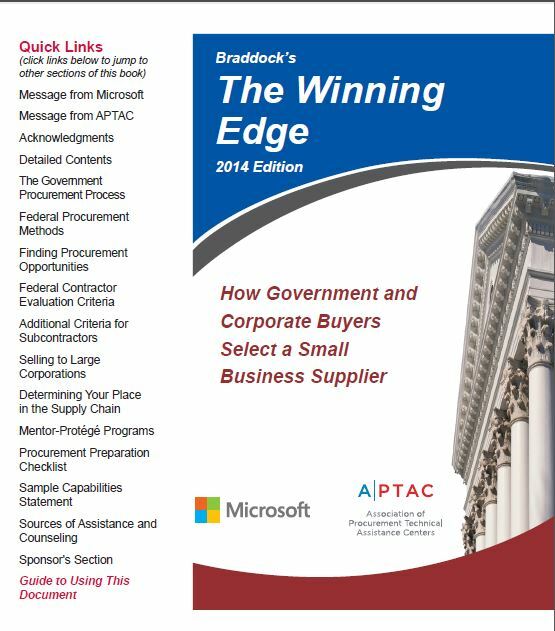 Braddock’s The Winning Edge is a practical guide designed for small to medium sized businesses that provides important insights into the decision-making process within the government and large corporations, with an emphasis on the evaluation and selection stages. 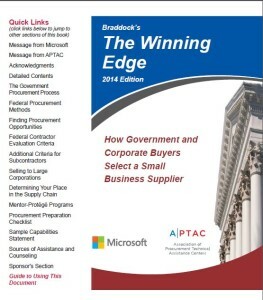 Braddock’s The Winning Edge: How Government and Corporate Buyers Select a Small Business Supplier is not available at this time. At such time as an updated version is released, APTAC looks forward to bringing it to you! In the meantime, your local PTAC can help you understand the procurement and supplier selection process.